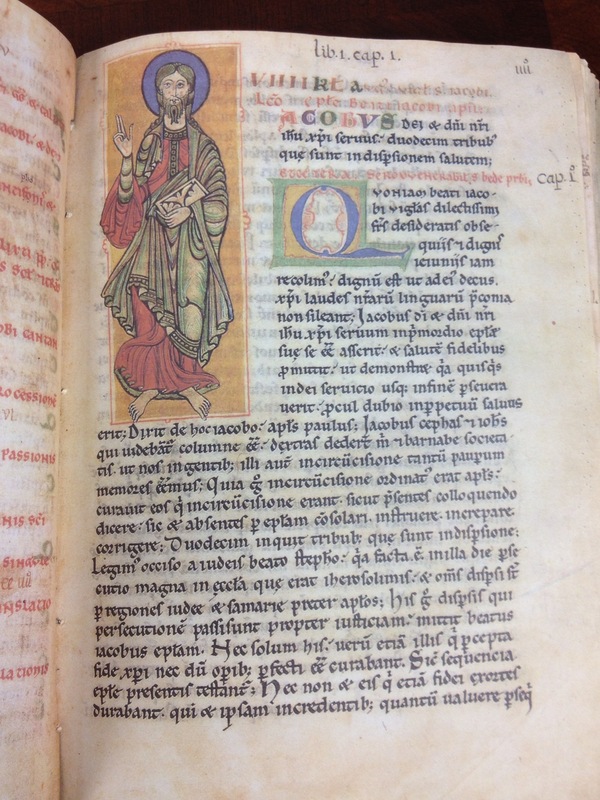 Perhaps you’ve seen the recent news articles (Spanish, English, and BoingBoing post) about the recovery of a “priceless” Spanish manuscript on the history of the pilgrimage of St. James? Don’t think you’ll get to Santiago de Compostela, Spain anytime soon to make the pilgrimage yourself? You can still see a facsimile of the Codex calixtinus here in the Baylor University Libraries. 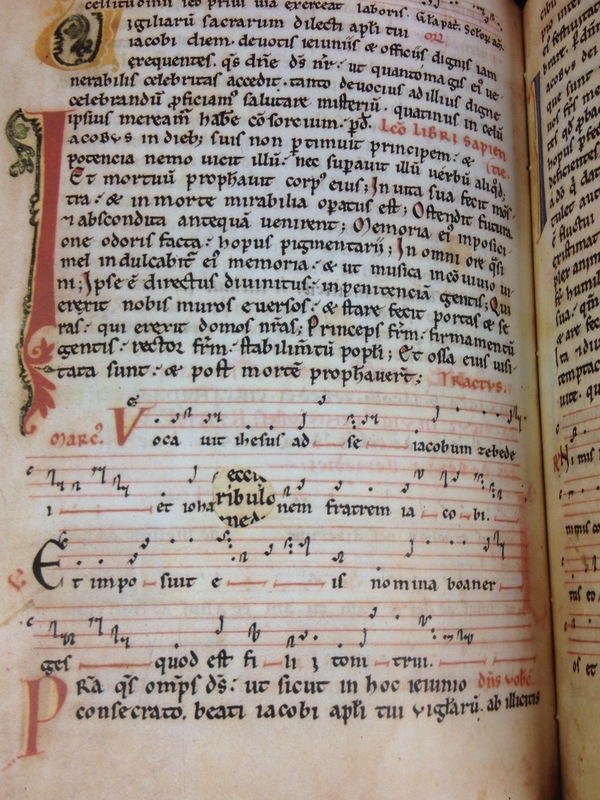 We have a beautifully re-created facsimile in our Special Collections and you can arrange to see it by contacting either : Susan_Bowlin@baylor.edu (254-710-4791) or Jennifer_Borderud@baylor.edu (254-710-6677). 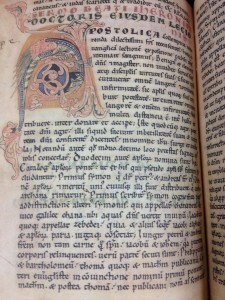 The facsimile even reproduces the damage the original has suffered over the years. In the middle of the picture you can see the previous page's text through the hole in this one. 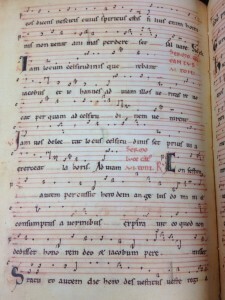 The manuscript and our facsimile include music for the Catholic mass for St. James. 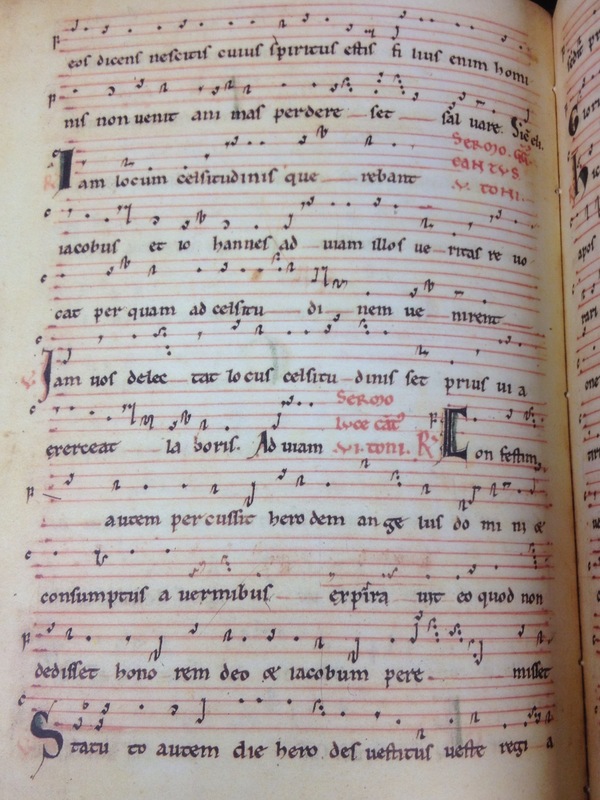 Check out this link to a streaming audio of selections of the mass by Ensemble Venance Fortunat, French musicians dedicated to performing medieval music for contemporary audiences (the streaming audio will take a few seconds to load and will require you to log on with your Baylor ID and password from off campus). 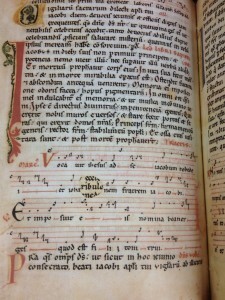 There is also a recording of Anonymous 4 performing this mass which we have in the Crouch Fine Arts Library. 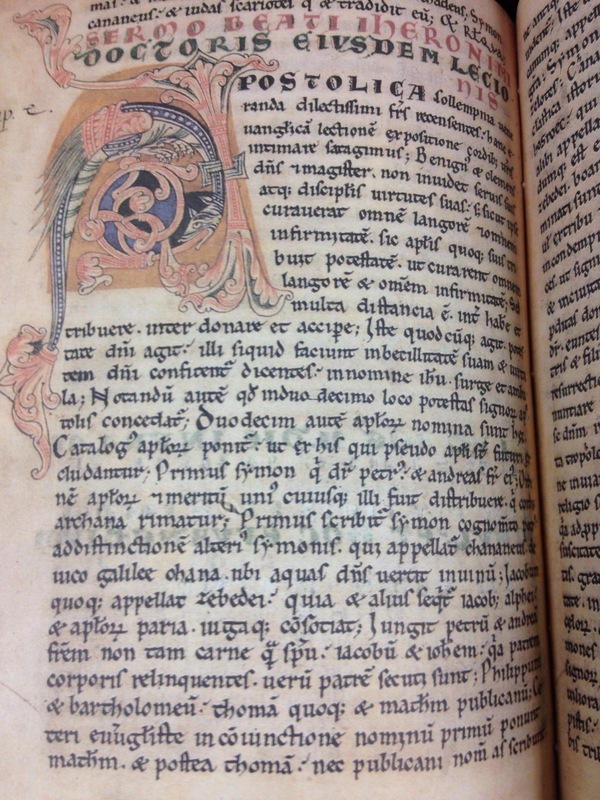 And if you are interested in knowing more about the manuscript, here’s a link to the other books we have on it. Page of text with illuminated initial "A"
Thanks to Jennifer Borderud, Stephen Bolech, Lance Grigsby, Sha Towers, and Sinai Wood for help with various aspects of this post. nice post, Eileen! thanks for putting this together!